Also this week, a former chief rabbi of Israel, Yona Metzger, was convicted of bribery and sentenced to three and half years. But the reach of Israeli corruption is global. 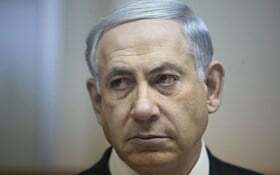 As a self-declared Jewish state, one that formally regards every Jew in the world as being personally invested in Israel, a network of personal and financial ties that are intentionally opaque has developed between Israeli businesses and officials, on the one hand, and overseas Jewish organisations, donors, investors and criminals, on the other.